Brewdog. A brand aimed at those who are not into mainstream beers and set up by two guys who are passionate about craft beer. Going strong since 2007 they have come a long way, with bars and beers across the world. So why did they launch Pink IPA? -Instead of just launching on International Womens Day and selling for 4 weeks (cheap tactic for brands jumping on the bandwagon of promoting women's versions that are not needed etc.). 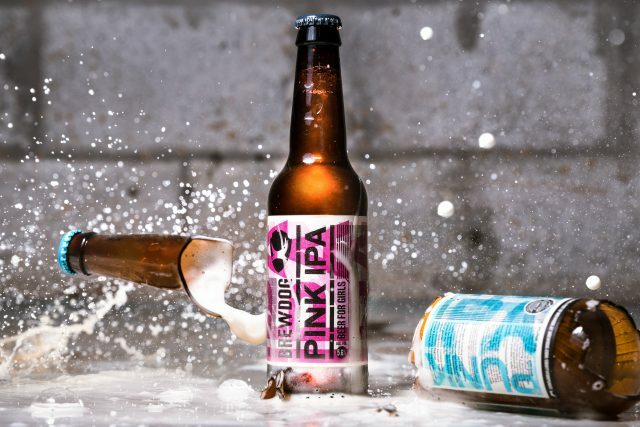 Continue to sell pink branded versions of the Punk IPA so that it really proves your committed to the cause. We look forward to seeing your attempt next year, pink glitter might work?